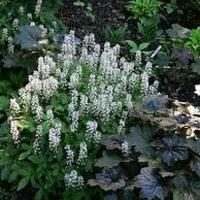 Hostas, ferns, heucheras, coral bells, campanulas, impatiens, fuchias, hydrangea. And again, the list is ENDLESS! Call or come by to see what is onsite or available for ordering.